Rio de Janeiro (AFP) - Complex corruption scandals have plunged Brazil into political instability, with leftist President Dilma Rousseff facing impeachment proceedings and her iconic predecessor and mentor Luiz Inacio Lula da Silva risking jail.... What is Rousseff accused of? -The opposition says she fiddled with government accounts in 2014 to mask budget holes during her reelection campaign. She is accused of breaking the law by taking unauthorized loans from state banks to cover government spending and also continuing this practice in 2015 at the start of her second term. What is Lula accused of? Lula, who led Brazil from 2003 to 2011, is charged with accepting a luxury apartment and a country home as bribes from executives implicated in a $2 billion dollar corruption scam at state oil company Petrobras. He denies involvement in the scandal.- What is the state of play? -Brazil's lower house of congress on Thursday launched a 65-member special committee to draw up a motion on whether impeachment proceedings should be launched against Rousseff. Lula meanwhile is in limbo after prosecutors called for him to be arrested on corruption charges. Rousseff moved to make him her chief of staff on Thursday, a position that would make him immune from trial by all but the Supreme Court. But a judge promptly issued a ruling blocking the appointment over all The congressional commission has two weeks to vote on whether to continue impeachment proceedings against Rousseff. Its recommendation would then go to the full house where two-thirds of deputies -- 342 out of 513 -- are required for impeachment to be upheld. At this point Rousseff would be suspended and the matter would go to the Senate. The upper house, overseen by the president of the Supreme Court, then votes, with a two-thirds majority -- 54 of 81 -- needed to force Rousseff from office.- Is impeachment likely? On paper, Rousseff's ruling coalition, with 314 deputies, would easily defeat impeachment. But congress is split over her performance. On Saturday her major coalition partner, the centrist PMDB party, said it would decide within a month whether to leave the coalition. 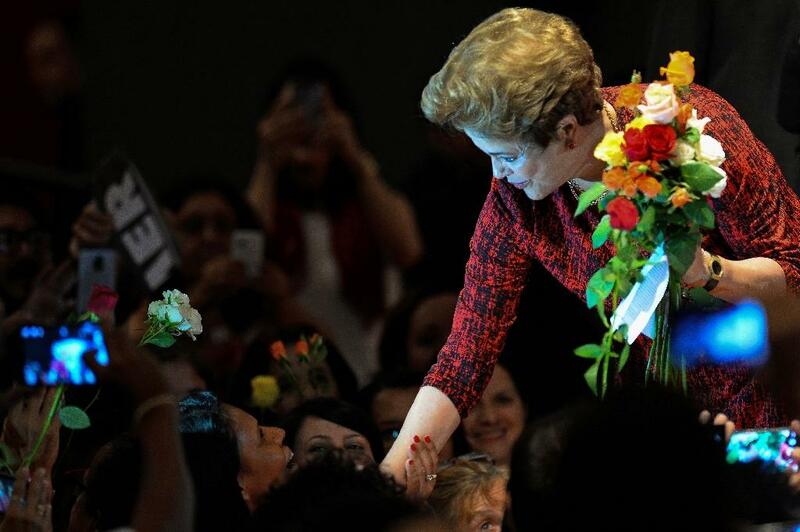 Recent opinion polls indicate that 60 percent of Brazilians back her impeachment. Her approval rating is only 10 percent. Brazil is pretty screwed at the moment. This is a country that is literally in Great Depression standards of living. The recent anti-Rousseff protests drew 1.5 million Brazilians onto the streets. I mean they must really hate her guts. 10% approval rating? I feel like there should be some mechanism in democracies where, once your approval is that low, ordinary people should be allowed to throw rocks at you until you resign for the common good. The sad thing is that da Silva for a time actually had a reputation as one of the most progressive leaders in Latin America. I am concerned that their replacements will be from the hard right. I hope I am wrong, and I do not pretend to be an expert on Brazilian affairs. Brazil is in desperately bad shape, and right before the Olympics too, when the eyes of the world will be focused on the country. The Olympics are gonna be a shitshow in every sense of the word. This is another reason why I can't wait for Tokyo 2020. Brasilia, Brazil (CNN)Dilma Rousseff could be hours away from being forced out of office -- at least temporarily. After months of speculation, mudslinging and debate, the embattled Brazilian President's fate is now in the hands of her country's Senate, which is scheduled to vote Wednesday on whether impeachment proceedings against her should begin. If a simple majority votes for the motion, Rousseff will be forced to leave the country's presidential palace for 180 days and face an impeachment trial. That would put Rousseff on the sidelines when Brazil hosts the Olympics in August and leave her battling to save her political future and finish out her term. It's not looking good for the once-popular Brazilian leader, who now faces allegations that she broke budget laws. According to Brazil's Folha de Sao Paulo newspaper, 50 of Brazil's 81 senators have said they would vote in favor of impeachment proceedings. Brazil's parliament house (National Congress) in the capital Brasilia. Senate at right, and the Chamber of the Deputies to the left. I feel like there should be some mechanism in democracies where, once your approval is that low, ordinary people should be allowed to throw rocks at you until you resign for the common good. Yes, i also thought about this. There should be some legal mechanism allowing voters to "withdraw" their votes as soon as the newly elected deputy or president betrayed them and does not fulfill his promises. Plus authomatic impeachment and new elections as soon as 1/2 or 2/3 of initial votes were withdrawn. BRASILIA, Brazil (AP) — Brazil's Senate voted Thursday to impeach President Dilma Rousseff after a months-long fight that laid bare the country's fury over corruption and economic decay, hurling Latin America's largest country into political turmoil just months before it hosts the Summer Olympics. Rousseff's enraged backers called the move a coup d'etat and threatened wide-scale protests and strikes. Her foes, meanwhile, insisted that she had broken the law, and that the country's deep political, social and economic woes could only be tackled without her. The 55-22 vote means that Rousseff's ally-turned-enemy, Vice President Michel Temer, will take over as acting president Thursday while she is suspended. The Senate has 180 days to conduct a trial and decide whether Rousseff should be permanently removed from office. "Did anyone think that we would get to 2018 with a recovery under this government? Impossible," said Jose Serra, the opposition Social Democratic Party's failed presidential candidate in the 2010 race that brought Rousseff into power. "The impeachment is just the start of the reconstruction." Rousseff, 68, was impeached for allegedly using illegal accounting tricks that critics said were meant to hide ballooning deficits and bolster an embattled government. Brazil's first female president, who was tortured under the country's dictatorship, has frequently blasted the impeachment push as modern-day coup, arguing she had not been charged with a crime and previous presidents did similar things. ...One politician described it as the "saddest day for Brazil’s young democracy." Vice President Michel Temer will assume the presidency during Rousseff’s suspension. Temer himself has been implicated in Brazil’s massive corruption scandal; several of his top advisers are under investigation, and just last week he was ordered to pay a fine for violating campaign finance limits. Attorney General José Eduardo Cardozo called the vote a "historic injustice." José Eduardo Cardozo: "An honest and innocent woman is, right at this moment, being condemned. A judicial pretense is being used to oust a legitimately elected president over acts which have been practiced by all previous governments. A historic injustice is being committed; an innocent person is being condemned." Celma Pereira: "It is revolting. We are here defending our democracy, and those yes-men spray us with tear gas. They are cowards." So what's the over-under on Brazil having major riots in Rio come the Olympics? Within 12 hours, Temer had named an all-white, all-male government whose average age is 58, drawn from the most conservative segments of the Brazilian elite. His appointees included seven of those under investigation in the corruption scandal. That makes eight, including Temer himself. Within 24 hours, a privatization program was unveiled, including the fire sale of stakes held by BNDES, the public development bank, in Petrobras, electric utility Eletrobras, the postal service, and three other public banks. All are to be sold off, probably to foreign multinationals, maybe to Wall Street private-equity funds at bargain-basement prices, thanks to the recession and the collapse of Brazil’s currency, the real, over the past two years. Labor-market deregulation and a minimum-wage freeze will likely follow, as decreed by Temer’s recovery plan, announced before the impeachment. The new finance minister, Henrique Meirelles, former COO of BankBoston and more recently governor of Brazil’s Central Bank, announced plans to cut public spending and did not discount tax hikes, despite pressures from the São Paulo Industrial Federation (FIESP), the all-powerful business lobby that had paid for the huge inflatable yellow duck visible at all the pro-impeachment rallies in São Paulo (a reference to a common Brazilian refrain: Everyone’s eating, but who’ll pay for the duck?). “This illegitimate government has no women, no blacks, no young people; but rest assured, we have them here in abundance and we will not give them a day’s rest,” promised Marcelo Freixo, new star of the left and possible candidate in the elections for mayor of Rio this year from the Socialism and Liberty Party. Things would get worse for O Globo and the marketers of the new government. When Temer’s first TV interview was broadcast on Rede Globo on Sunday, people stepped onto their balconies in Copacabana, Santa Tereza, and other districts banging pots. The same occurred in other parts of Brazil, making for headlines that said “The Panelaço Changes Hands.” Globo’s Facebook site was bombarded with thousands of green vomit icons in protest against a puff-piece interview that Temer had not even had to demand. RIO DE JANEIRO (AP) — Grammy award-winner Caetano Veloso added his voice to a growing numbers of artists and musicians rejecting Brazil's interim government, holding a concert in a building occupied by protesters. About 2,000 people gathered Friday night for a musical performance by Veloso and other singers in protest against acting President Michel Temer and his decision to abolish the country's Culture Ministry. Veloso got the crowd singing the slogan "get Temer out" and performed a song called "Odeio," or "I hate" in English, with spectators completing the phrase with the interim president's name. "The Culture Ministry is ours," Veloso said. "It is an accomplishment of the Brazilian state. It doesn't belong to any administration." Last week Temer decided to fold the Culture Ministry into the Education Ministry under the control of a conservative politician who has no experience in either area. The concert was held at a government building in central Rio de Janeiro where activists who consider Temer's acting presidency illegitimate have been camped out since Monday. Organizers say there are 15 other cities with federal buildings taken over in similar demonstrations. Temer was elected VP on President Dilma Rousseff's ticket and took the top office on an interim basis after she was impeached. She has been suspended from office and could be permanently removed if a Senate trial finds her guilty of breaking fiscal laws. Rousseff's allies accuse Temer of plotting her ouster through impeachment proceedings initiated by a member of his party. Singer and actor Seu Jorge, known for his role in the Oscar-nominated movie "City of God," also called for Temer's removal from office. Leftist lawmakers and activists spoke at the concert, with some vowing not to negotiate with Temer. "We heard they want us to discuss bringing the Culture Ministry back," Sen. Lindberg Farias said. "But we don't recognize any authority in this illegitimate government." Conservative groups and politicians that back Temer accuse Brazilian artists of living off government funds. This story (and its aftermath) is getting more interesting by the day. A key figure in Brazil’s interim government has resigned after explosive new transcripts revealed how he plotted to oust President Dilma Rousseff in order to end a corruption investigation that was targeting him. The transcripts, published by Brazil’s largest newspaper, Folha de São Paulo, document a conversation in March, just weeks before Brazil’s lower house voted in favor of impeaching President Rousseff. Romero Jucá, who was then a senator but became a planning minister after Rousseff’s ouster, was speaking with a former oil executive, Sérgio Machado. Both men had been targets of the so-called Car Wash investigation over money laundering and corruption at the state-controlled oil firm Petrobras. In the conversation, the men agree that ousting President Rousseff would be the only way to end the corruption probe. 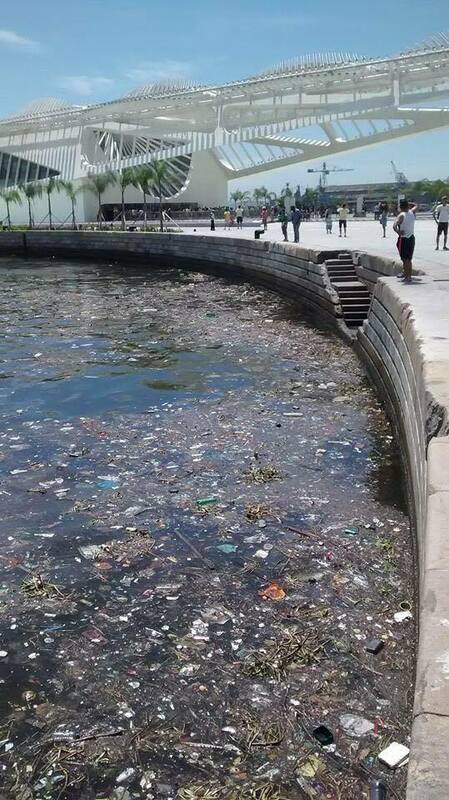 In the transcript, Jucá said, "We have to change the government so the bleeding is stopped." Machado then reportedly said, "The easiest solution is to put Michel in"—a reference to Vice President Michel Temer, who took power once Rousseff was suspended. We speak to Maria Luisa Mendonça, director of Brazil’s Network for Social Justice and Human Rights. The ouster of Brazil President Dilma Rousseff from power, just weeks before that nation will host the Summer Olympic Games, smacks of abuse. Her impeachment is being used to distract voters from widespread corruption in the government, and from a power grab by right-wing politicians. Rousseff is not facing any corruption charges. The basis for the impeachment is her use of a common financial mechanism of borrowing funds from public banks to cover social program expenses in the federal budget. Other national and local administrations have used this same tactic. If the same criteria were used against Brazil’s state governors, 16 of them would be facing impeachment today. 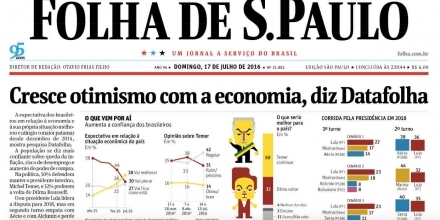 Mainstream media in Brazil has created the illusion that Rousseff’s removal from office was needed to solve corruption and an economic crisis. For more than a year, the main television networks called for demonstrations against the government and dedicated day after day of live coverage to them. 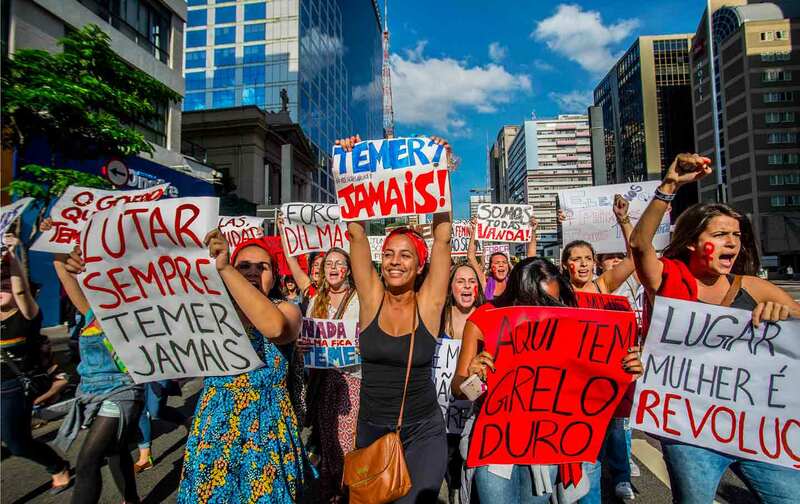 At the same time, these media ignored large demonstrations in defense of the democratic process that re-elected Rousseff in 2014 with 51 percent of the vote. A key player is Globo TV, which is known for supporting the military dictatorship that lasted more than 20 years in Brazil. The impeachment votes in the Senate and in the Lower House were predictable, since most lawmakers expressed their opinions previously. There was clearly political maneuvering going on. Most House members declared that they were supporting the impeachment in the name of God, or their families. One member even praised a former military commander who tortured several political activists during the military regime. 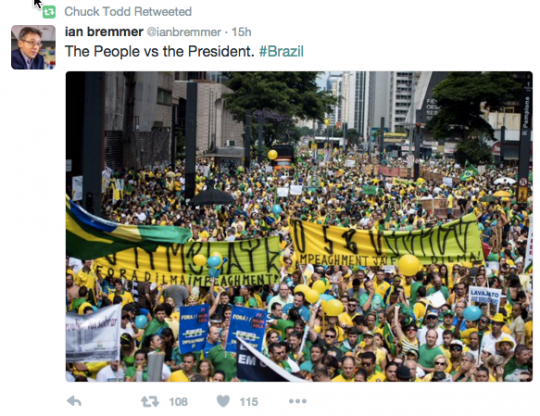 The vote to impeach Rousseff is being used to distract people from threats to their democracy. More than half of the members of Brazil’s Congress face serious investigations of corruption. Former House Speaker Eduardo Cunha, who orchestrated and conducted the impeachment vote on April 17, has since been forced to step down by the Supreme Court on charges of corruption and maintaining illegal Swiss bank accounts. The interim president, Michel Temer, along with seven ministers all appointed by him, are also under investigation for corruption charges. Worse, only five hours after taking power, Temer eliminated the Controladoria Geral da Uniāo, a federal agency responsible for monitoring governmental contracts with private businesses, which was key to investigating corruption. That same day, he also eliminated the Ministers of Culture, of Communications, of Human Rights and Racial Equality, of Women, of Agriculture Development, and the Secretary of Control of Ports and Airports. Temer has announced cuts in social programs, including education, health care and retirement plans. His new cabinet consists of the most conservative sectors of the political spectrum, representing an agenda that has been rejected by Brazilian society in consecutive elections since 2002. The austerity measures will increase economic inequality and instability, as well as repression against social movements. At the same time, Congress members are planning to approve legislation to dismantle environmental agencies and facilitate the exploitation of Brazilian oil reserves by multinational corporations. The international community needs to support the democratic process. Widespread acceptance of an illegitimate regime change in Brazil sets a dangerous precedent for the whole region. Noam Chomsky: Brazil's President Dilma Rousseff "Impeached by a Gang of Thieves"
What’s happening in Brazil now is extremely unfortunate in many ways. First of all, there has been a massive level of corruption. Regrettably, the Workers’ Party, Lula’s party, which had a real opportunity to achieve something extremely significant, and did make some considerable positive changes, nevertheless joined the rest—the traditional elite in just wholesale robbery. And that should... be punished.... It’s a kind of a soft coup. The elite detested the Workers’ Party and is using this opportunity to get rid of the party that won the elections. They’re not waiting for the elections, which they’d probably lose, but they want to get rid of it, exploiting an economic recession, which is serious, and the massive corruption that’s been exposed. But as even The New York Times pointed out, Dilma Rousseff is maybe the one...leading politician who hasn’t stolen in order to benefit herself. She’s being charged with manipulations in the budget, which are pretty standard in many countries, taking from one pocket and putting it into another. Maybe it’s a misdeed of some kind, but certainly doesn’t justify impeachment. In fact...we have the one leading politician who hasn’t stolen to enrich herself, who’s being impeached by a gang of thieves, who have done so. That does count as a kind of soft coup. I think that’s correct. Brasília (AFP) - Brazil's suspended president Dilma Rousseff is to begin her defense case Friday in the Senate impeachment trial that could see the one-time leftist guerrilla ejected from office within days. Rousseff, 68, is accused of breaking the law when she took unauthorized loans to bridge budget gaps during her 2014 reelection. Allies, including former economy minister Nelson Barbosa, will argue that the budgetary maneuvers were common practice in previous governments and had never been considered illegal. Rousseff loyalist Senator Gleisi Hoffman told AFP she thought that impeachment could still be defeated. "I think it's possible to reverse the process because there are senators who even though they've shown they favor impeachment have said they could change their minds," she said. The hearings began Thursday when the Senate heard from opponents of the first woman to lead Latin America's biggest economy. Now the trial is slowly building to Monday when Rousseff herself will testify in a piece of political theater that could determine whether 13 years of rule by her leftist Workers' Party comes to a sudden end. Senate leaders expect a final vote on her fate to take place in the first part of next week and Rousseff opponents are confident they will muster the necessary two-thirds majority to bring her down. Senator Raimundo Lira, a strong backer of impeachment, told AFP that senators "have already made up their minds and I don't think there will be any change at the vote." If Rousseff goes, her former vice president turned bitter enemy, Michel Temer, will be sworn in, signaling a sharp shift for Brazil to the right. Temer, who has served as acting president since May, is hardly more popular than Rousseff. A recent opinion poll found only 14 percent of Brazilians thought he was doing a good job. However, his center-right coalition and choice of market-friendly ministers have raised expectations that he can get the economy back on track. The economy shrank 3.8 percent in 2015 and is forecast to drop about 3.3 percent again this year, a historic recession. Inflation is at about nine percent and unemployment at 11 percent. "I agree that Dilma must leave power. Leaders must be responsible for their actions," said Mara Campos, 50, waiting at a bus stop in Brasilia. "But I am very worried because this trial is traumatic." Brasília (AFP) - The final witnesses in the defense of suspended Brazilian president Dilma Rousseff have testified in her senate impeachment trial, days before a vote that could permanently remove her from power. Rousseff, 68, is accused of taking illegal state loans to help bridge budget shortfalls and mask the true state of the economy during her 2014 reelection campaign. The one-time Marxist guerrilla, who was imprisoned and tortured under Brazil's military dictatorship in the 1970s, says the charges against her are trumped up and amount to a right-wing coup. Testifying late Saturday on the third day of the impeachment trial were former economy minister Nelson Barbosa and Rio State University law professor Ricardo Lodi. Both testified that Rousseff -- suspended from office in May -- did not break the law or harm the economy, which is now in deep recession. "There is no basis to say that the president is criminally responsible," Barbosa said. He insisted that decrees that Rousseff issued at the time were fully constitutional. "There is nothing remotely illegal," Barbosa said. "You cannot act retroactively with a new interpretation of the law." Rousseff's accusers laid out their case on the trial's opening day Thursday, arguing that she was criminally irresponsible and helped run once booming Brazil into the ground. Brazil's economy shrank 3.8 percent in 2015 and is forecast to drop a further 3.3 percent this year, a historic recession. Inflation stands at around nine percent and unemployment at 11 percent. Tension is building ahead of Monday when Rousseff, from the leftist Workers' Party, will take the stand for the first time and face her accusers. 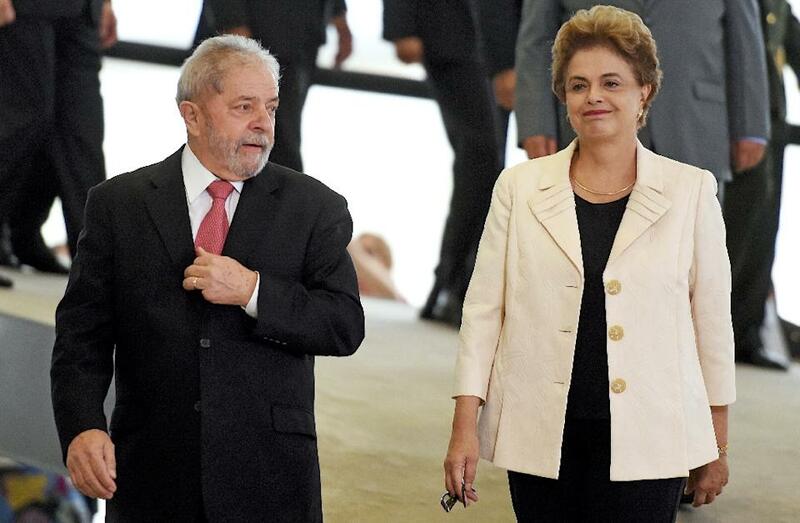 She will be accompanied by her mentor and predecessor in the presidency, Luiz Inacio Lula da Silva. The once all-powerful pair are now demonized by the right, blamed for Brazil's economic shambles and tainted by the revelation of a gigantic corruption scheme at state oil giant Petrobras which peaked during the Lula presidency. Lula's presence and Rousseff's allegations of a plot to destroy 13 years of Workers' Party rule will make for a charged atmosphere in the deeply divided Senate where a shouting match broke out Friday, forcing the session to be suspended. Final arguments will follow Rousseff's testimony, then the voting session, which will include speeches by each senator, with the final result expected Tuesday or Wednesday. Two thirds or 54 out of the 81 senators must vote for impeachment to force Rousseff's immediate removal. The latest estimates by opposition senators and major Brazilian newspapers is that the pro-impeachment side is on track to win. Acting president Michel Temer -- Rousseff's former vice president turned bitter enemy -- would then be sworn in to occupy the post until 2018 elections. Since taking over the temporary job Temer has installed a new center-right cabinet with a market-friendly message. “I am deeply concerned by the current effort to remove Brazil’s democratically elected president, Dilma Rousseff. To many Brazilians and observers the controversial impeachment process more closely resembles a coup d’état. “After suspending Brazil’s first female president on dubious grounds, without a mandate to govern, the new interim government abolished the ministry of women, racial equality and human rights. They immediately replaced a diverse and representative administration with a cabinet made up entirely of white men. The new, unelected administration quickly announced plans to impose austerity, increase privatization and install a far right-wing social agenda. On Wednesday, The Intercept published an article documenting the extraordinary journalistic fraud committed by Brazil’s largest newspaper, Folha de São Paulo, in radically distorting the views of Brazilians on the key questions of the country’s political crisis. Specifically,Folha blasted headlines to the country announcing that 50 percent of Brazilians now want the extremely unpopular interim president, Michel Temer, to complete Dilma’s term and remain as president through 2018, while only 3 percent favor new elections and only 4 percent want both Dilma and Temer to resign. That was squarely at odds with prior polling showing vast majorities opposed to Temer and favoring new elections. As we documented, the actual polling data — which Folha’s polling firm, Datafolha, only published days after the article — did not remotely supportFolha’s claims. But after our article was published, much more evidence was found — through amazing collaborative work by internet sleuths — showing how extreme Folha’s behavior was, including the discovery of a smoking gun proving that it was much worse than we knew when we published yesterday…. Last Night, Folha published a response in the form of a news article that described what it called the “controversy” provoked by our article. It glided over, and in many cases ignored, most of these key questions.